We need qualified officials to join us in Phoenix for Volleyball Festival 2019. You may register for this event by going onto the AES website at www.advancedeventsystems.com. Please, read this information sheet carefully. 1. Go to the AES website at www.advancedeventsystems.com. 2. Establish and AES account (if you don't already have one). 3. Filter on "AAU" and "Arizona"
4. 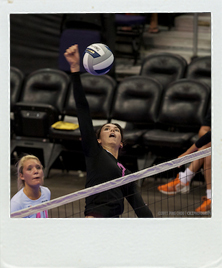 Select "2019 Volleyball Festival National Championships" from the list. 6. Scroll to the bottom and click "Submit." 7. If you don't have an AAU Membership, click HERE to sign up for $16. 9. Return here to download the Personal Data/Housing Form. 10. Complete the form and email it to Gloria-cox@austin.rr.com. 11. A contract will be emailed to you as confirmation that you have completed the process. Noon - 3:00PM on Wednesday, June 26, 2019 at the Phoenix Convention Center. If you will not be able to arrive before Wednesday at 2:00 PM, please inform Gloria, so that other check-in arrangements can be made. Full-time Officials living more than 30 miles from the Phoenix Convention Center are housed at one of the Festival's downtown staff hotels, two officials to a room. Please select another official to room with and make note of that on your Personal Data/Housing Form. Housing is provided with a check-in of Wednesday, June 26 and check-out of Monday, July 1. Anyone not staying that entire time should contact Gloria so that we do not pay for rooms that are not occupied. Parking is expensive in the downtown area but the Festival has a limited number of parking passes for out of town officials. The driver of a car must indicate the need for a pass on the Personal Data/Housing Form. Priority will be given to those drivers carpool with other officials. All local officials should plan to park in the light rail parking lots and take the train to the Convention Center. 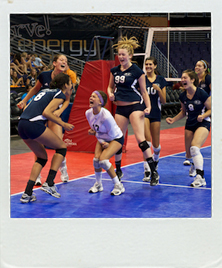 Festival Sports provides tournament apparel for the Volleyball Festival Championships (VF) in June. VF officials are provided with t-shirts. Bring enough pants or shorts in solid navy, black or tan for the entire week. Bring your own officiating shoes, navy blue pants, the white "officials’ shirt" and white socks for Championship matches. Canadians should bring their national uniform. Make sure that your sizes are noted on the personal data form. 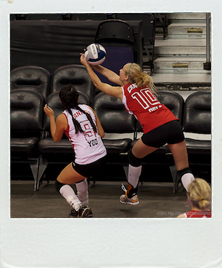 VF is a licensed AAU event in 2019 so your USAV patch should not be worn on your "officials' shirt." Officials arriving at the Phoenix Airport should catch the light rail. Take the Montebello/Westbound train and exit at 3rd St. and Washington for the Hyatt and Convention Center. Light rail information can be found HERE. Join us for our annual pizza party on Wednesday, June 26, 2018, at 7:30 PM, to be held in conjunction with the Mandatory Meeting. Failure to attend this meeting could result in removal from Thursday’s schedule. All Officials are invited to attend the annual Staff Party on Sunday, June 30, 2019 shortly following the conclusion of the last Finals match. 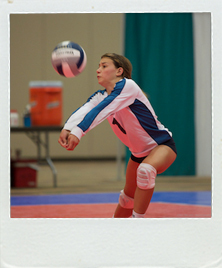 The 2019 Volleyball Festival Championships are a licensed AAU event. All game Officials are required to have AAU memberships. The cost is $16, includes the background check, and covers all sports through August, 2019. Click HERE to secure you AAU membership. Matches will be played from Thursday, June 27 through Sunday, June 30. Play should conclude by 7pm Sunday, June 30. If you have any special circumstances, you may email Gloria-Cox@austin.rr.com through Saturday, June 22, 2019. 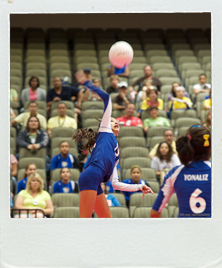 After that date, call her at 281-389-5425 or email us at info@volleyball-festival.com. 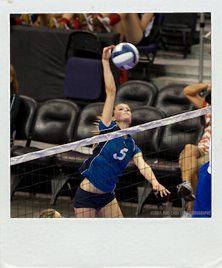 We look forward to a great event in Phoenix for Volleyball Festival 2019. Travel safely. We need qualified officials to join us in Glendale for the 2020 Festival Fiesta Classic. You may register as an official for this event on advancedeventsystems.com. Please, read this information sheet carefully. 1. After Sept. 15, go to the AES website at www.advancedeventsystems.com. 4. Select "2020 Festival Fiesta Classic" from the list. 11. Download the complete Officials' Information Sheet. Join us for our annual pizza party on Friday, February 14, 2020 at 6:30 PM at the Staybridge Suites (9340 W Cabela Dr. Glendale 85305). This is held in conjunction with Officials Check-In and the Mandatory Meeting. Failure to attend this meeting could result in removal from Saturday's schedule. If you will not be able to arrive in time for the meeting, please inform Kevin Kennedy (940-390-7470, vballusa@yahoo.com) so that other check-in arrangements can be made. 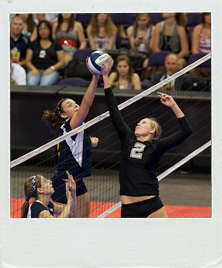 We plan to have 56 total courts: 28 at the University of Phoenix Stadium and 28 others at 7 to 8 other facilities. You must have access to transportation as you may not work at the Stadium every day. If you plan to carpool with another referee during the tournament, please let me know ASAP. If you don’t let me know within a week of the tournament, I can’t go back and make schedule changes. Officials will be issued a parking pass at our Friday night meeting that can be used for the Red North Preferred lot at the University of Phoenix Stadium. The other playing sites all have free parking. We plan to provide 2 long sleeve dri-fit shirts or similar apparel. You may wear your USAV uniform while officiating, however please DO NOT wear your USAV patch as this is an AAU licensed event. We look forward to a great event in Glendale for the 2020 Festival Fiesta Classic. Travel safely.